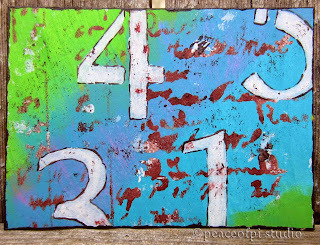 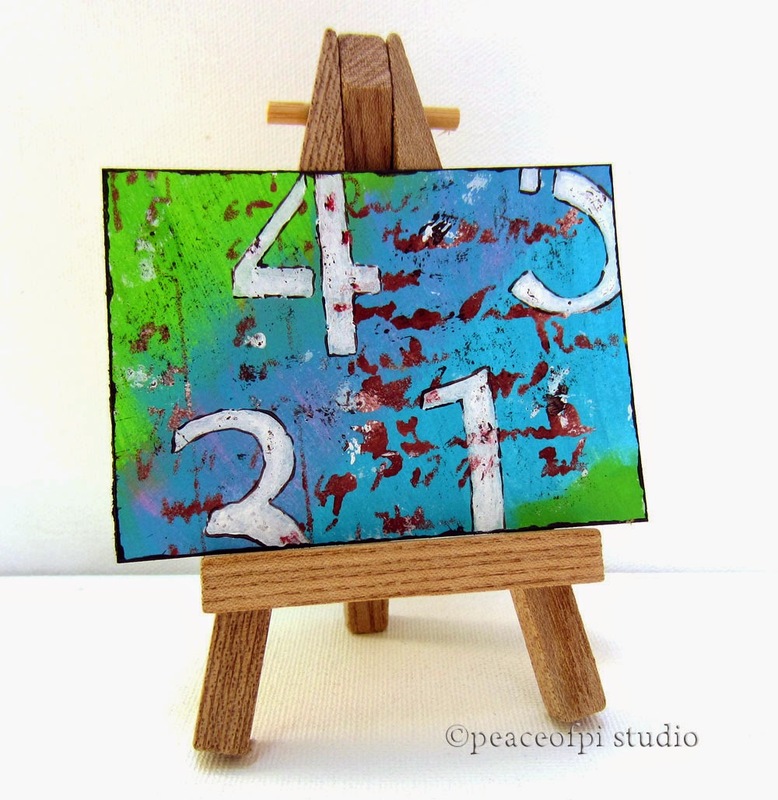 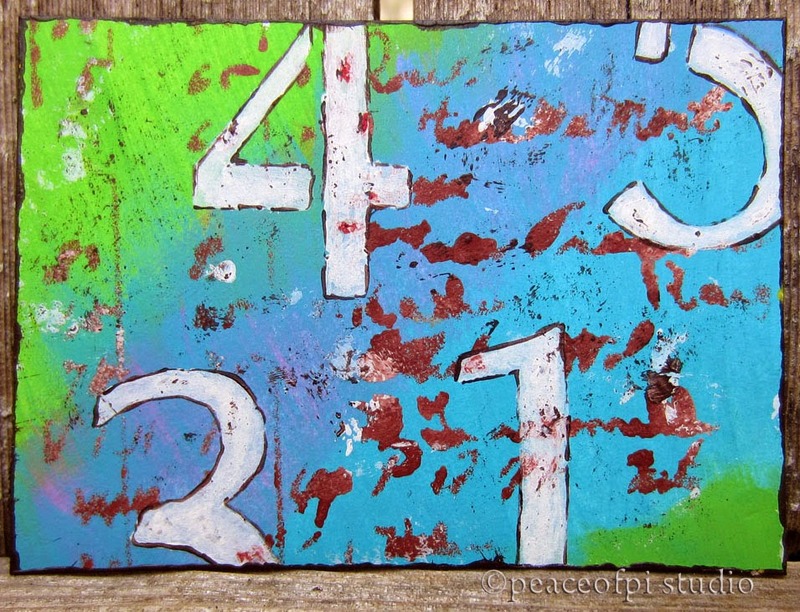 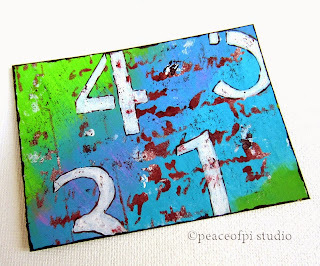 This miniature painting, titled Number Fragments on Blue, is part of an ongoing series inspired by typography. Created in acrylic, this mini painting is small at 2 1/2 X 3 1/2 inches, this size of artwork is also known as ACEO (ACEO stands for Art Cards, Editions and Originals) and also ATC (Artist's Trading Cards). The small format presents unique challenges while allowing for exploration in miniature.